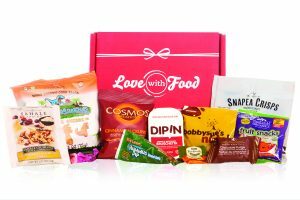 The Love With Food Tasting Box delivers organic or all natural snacks to your door every month. Today, we’re taking a closer look at the Love With Food April 2015 Tasting Box. The April Love With Food theme was Starry Nights and featured snacks for quiet evenings and midnight munchies. 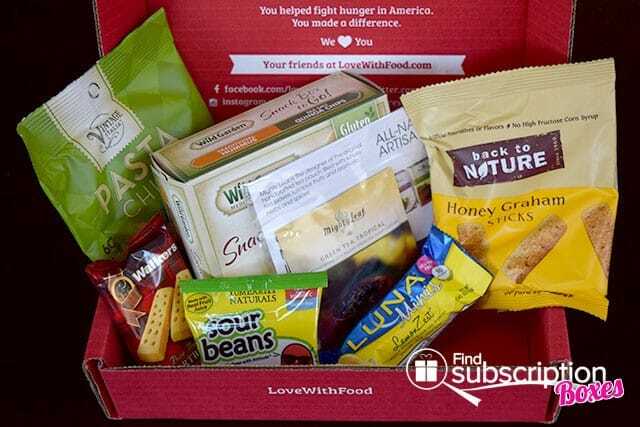 Love With Food includes a flyer in each box that describes that month’s featured snacks. 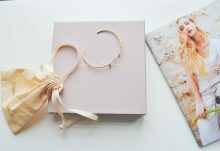 Here’s a first look inside our April Love With Food Tasting Box. 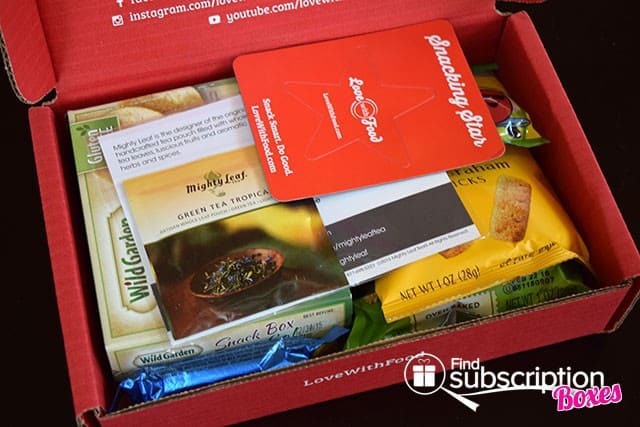 There were 7 snacks in our April Starry Nights Love With Food Tasting box. Enjoy these Scottish classic cookies with a cup of tea to help unwind and relax. With 60% less fat than regular chips, these baked chips are made with olive oil, garlic, and semolina flour. Enjoy these graham sticks whether making s’mores or just enjoy and sweet treat. Brew up a cup of this low caffeine green tea with tons of tropical flavor. End your day with this gluten-free mini bar packed with calcium, folic acid and protein. Perfect for snacking on-the-go, this snack pack combines flavorful hummus with protein packed quinoa crackers. The Love With Food April 2015 Starry Nights Tasting Box was filled with a variety of sweet and salty snacks that were perfect for enjoying in the evening. We really enjoyed the sweet cookies (we’d tried Walkers Shortbread from a previous Love With Food box) and love that the gummy sour beans are organic. The pasta chips packed tons of flavor into delicious, baked bites that were enjoyed guilt-free! 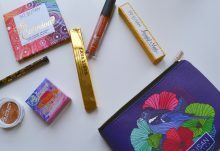 What was your favorite snack from the April Love With Food Tasting Box? 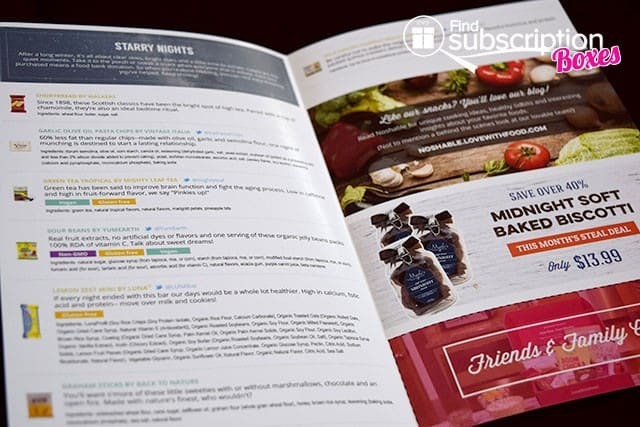 Love With Food has extended their free trial offer! For a limited time, sign-up for the Love With Food Tasting Box trial and get your first Love With Food snack box FREE – just pay $2 shipping.